Friend : So which sect are you from? Friend : That I know but I am asking about your sect, as in are you a Sunni, Shia etc? Me : I have already told you that I am a Muslim, isn’t that enough? Since forever we all have been fighting on the issue that where do we actually belong?? Are we Muslims, Shia’s, Sunni’s, Punjabi’s, Pathan’s etc…….ever thought of putting the word “human being” in the list??? So, how did I become sooo anti-sects??? 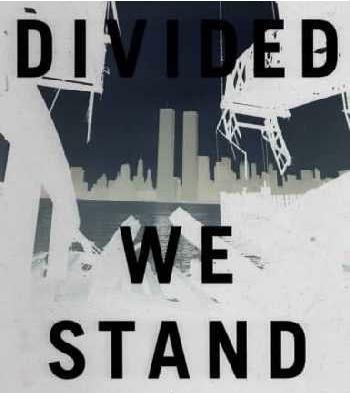 Where 9/11 had made the lives of Muslims a living hell, it on the other hand had played a huge part in my “awakening” because after the fall of Twin Towers, we witnessed hate crimes against the whole Muslim community and that made me realize that how badly our whole community is actually divided into sections. Apart from that, I started watching programs on TV where the true anti-secretarian Islam was being preached. I do agree that there are black sheeps in every sect but we can’t just term all of them as Monsters if we don’t like some of them. Now same is the case with ethnicities and political party favorites in our country. “I don’t like her because she supports HHH party,” or “Oh is he a Punjabi??? Oh my God!! I am not talking to him from now on”. What the hell people??? Stop judging each other on the basis of ethnicities or political parties they support. I myself have witnessed families who aren’t talking to their relatives just because they support different political parties. What is happening to us??? Can’t we agree on anything??? These days I am hearing the word “REVOLUTION” quite a lot but is it really going to come in our country?? Hell no!!! because the God of divided mentality is ruling our minds. People of different sects, different political parties, different ethnicities etc don’t even want to share their food with each other and we are day-dreaming about a revolution here…Huhhh not gonna happen…. because we have clearly forgotten to witness that the revolution which came in Tunisia and Egypt was a result of unity. Tunians and Egyptians consider themselves as Arabs and patriotic citizens. So even if their religious or political views don’t match…they don’t give a damn. What will it take us to concede that nations are not built on the rubble of conflicts and rivalries but on religious tolerance and justice for all. No country in the world is unfettered from social malevolence so Instead of devising to run away, we should focus on eliminating our differences so that we can stand together as one nation. So be the change instead of waiting for it to happen. great writeup, written on a very serious issue..me too offended by these hate mongers..its a malady in our nation. People always ask about sect and cast when they meet first time to each other..its like a greeting message "from which sect you belong"?..even i have also heard people saying "the girl sitting there is so beautiful ,she must be belong from the Shia sect"...its an utter illiteracy!..we aren't supposed to judge anyone by the cast and sect. Very nice write-up. I agree, our nation is divided and people are still trying to divide this divided nation into further smaller and smallest pieces. We should have to work on our master symbols to promote pluralism in the society. Today is 23rd March and these national songs are playing vital role in tieing us together! and lastly your references are great! Very nice post and i totally agree. I am Muslim and Pakistani full stop. Great reminder of who we really are. @Tehreem: yea u are right we do make some strange conspiracy theories ourselves which is not right. @Miss Hanif: thx and yup master symbols are the key.